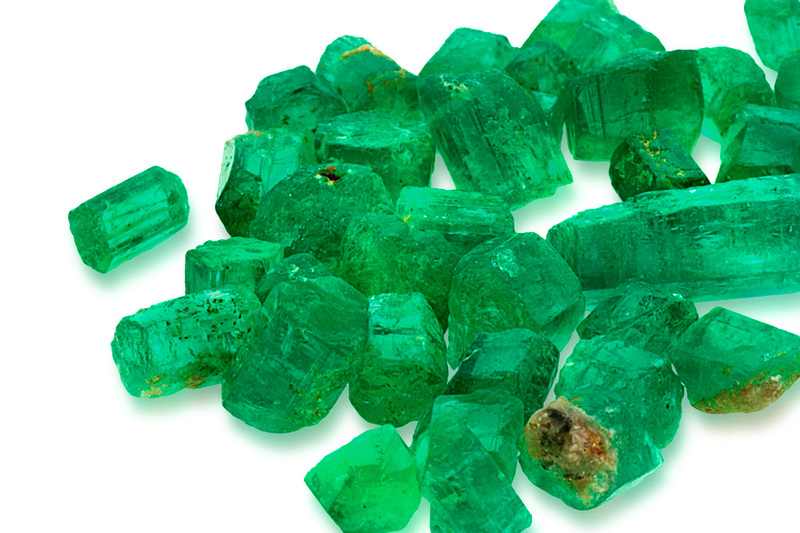 Processing the emerald from a raw stone to a finished cut stone calls for a considerable amount of experience, patience and sensitivity. The foundation of these skills is laid during an apprenticeship as a gemstone cutter, and they are later consolidated by many years of practical work. 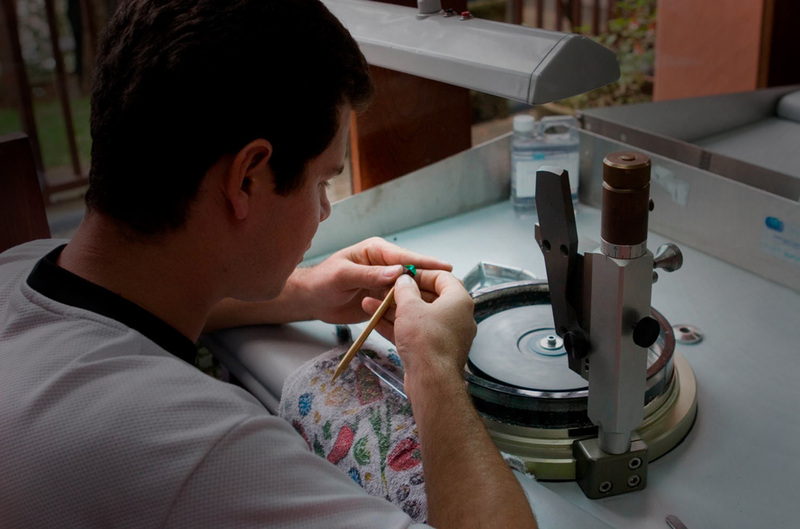 The profession of the gemstone cutter demands a great deal of discipline and skill. As the founder of the company, our father Lothar Haag felt it was very important that we too should complete this training. 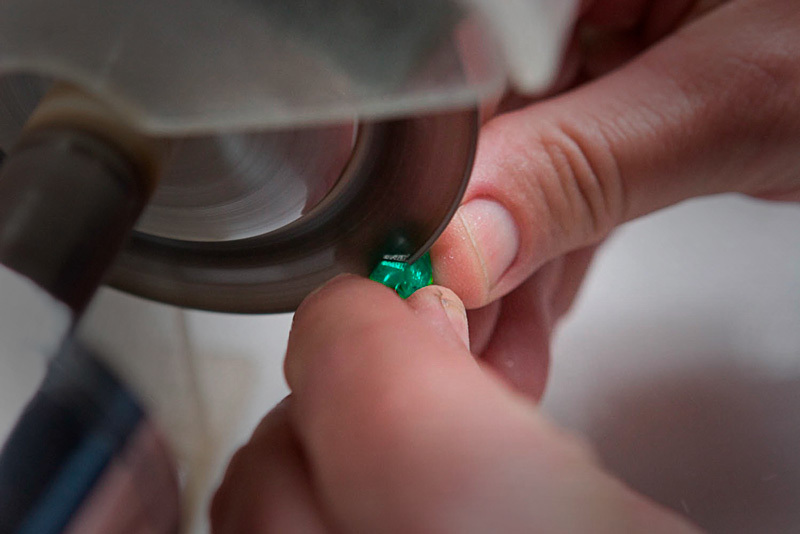 The process comprises grinding, preliminary shaping, cutting and finally polishing the emerald. By far the trickiest part is the grinding of the raw stone, because this can be decisive in whether it turns into a profit or a loss. The work of the ébaucheur determines the form of the stone: emerald-cut, oval, round or pear-shaped. Cutting puts the facets on the pre-shaped stone and the process is finally consummated by polishing. Each stone calls for different methods and different cutting and polishing tools. Not until he has gained many years of experience is a cutter in a position to process all the different kinds of stone with the necessary competence. As a traditional enterprise we employ several cutters who have been serving us faithfully for years.